The Stola III appears to only be available in a matte silver finish, at least at launch. The furniture will be a painted black with a painted single chick logo on the cap top. The only other obvious branding is the company’s name, “Pelikan,” printed along the lip of the cap. 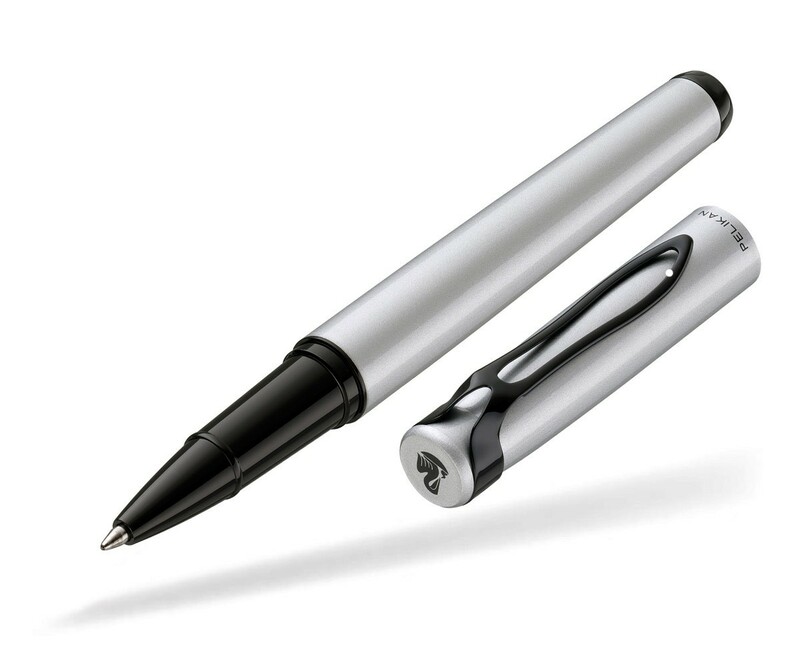 Speaking of the cap, it will be the slip fit type commonly seen on entry-level pens. 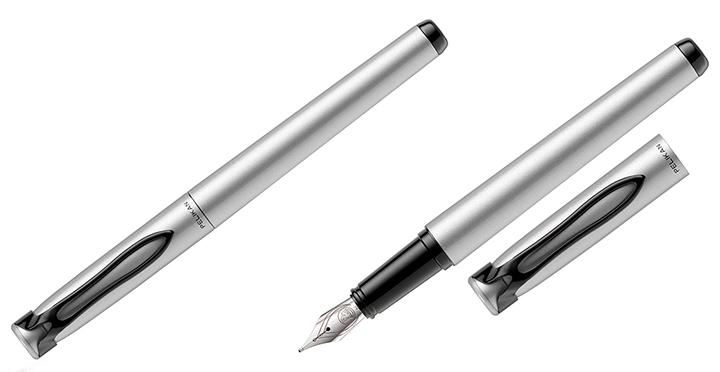 The nib will be stainless steel which is to be expected in a budget model. In addition to the fountain pen, there appears to be a rollerball (R16) and ballpoint (K16) that will be available to match. Expect the Stola to make its retail debut sometime around the holiday season this year. What do you think about the Stola III? Personally, I’ll stick with my piston fillers but I have to admit, I like the looks of this pen. If additional colors are offered at a later date, I may just have to add one to my flock. An attempt to compete with the Lamy Al Star? My first thought was that they were trying to compete with the Lamy Al Star or Pilot Metropolitan. The TWSBI Eco might prove to be the better value than any of them. Hard to argue with the TWSBI Eco. Great price for a nice piston filler. I’ve always admired TWSBI and what they are doing. Smooth nib, medium but cap does not click onto barrel when writing. Off balance. Surprised at this blunder. Thank you for sharing your impressions of the Stola III. I haven’t had much of a chance to be hands on with one. It has been my experience that the lower tiered pens frequently don’t post well. I like the necktie clip, but can’t say the rest of it does much for me. I won’t be surprised if they only offer it in a couple of nib sizes. That’s very possible. I could see this coming predominantly the medium nib size. Not sure if there will be any nib interchangeability with this model. I don’t know if this means it is M nib only at Goldspot or everywhere. From what I can see, only pens with medium nibs will be available in the U.S.A. I think this will be regardless of the vendor. Not an uncommon move for Pelikan with these lower tier pens. I used P Futures as EDC for decades, primarily for the matchless Pelikan ink mechanism, regardless of body. Wore out the nibs, reground them to cursive. Hope the Stola posts better than the Futures.. Thanks for your comment. Posting is a big deal for me. I find that if a pen of this size won’t post, I just can’t get along with it. Not so much of an issue on larger pens though. Its looks very nice to me. I like to use as a every day writer the Pelikan Style. The design of the Style is not very attractive, but do the job. This Stola III has a better design and I like the clip. I have to get a TSWBI that you talk about, thoug, but I am pretty sure I am going yo get a Stola III. Thanks for the news! You know, I have a Pelikano that I bought just for fun – certainly not a fine pen, steel nib, but it’s easy to use and it’s a great writer. 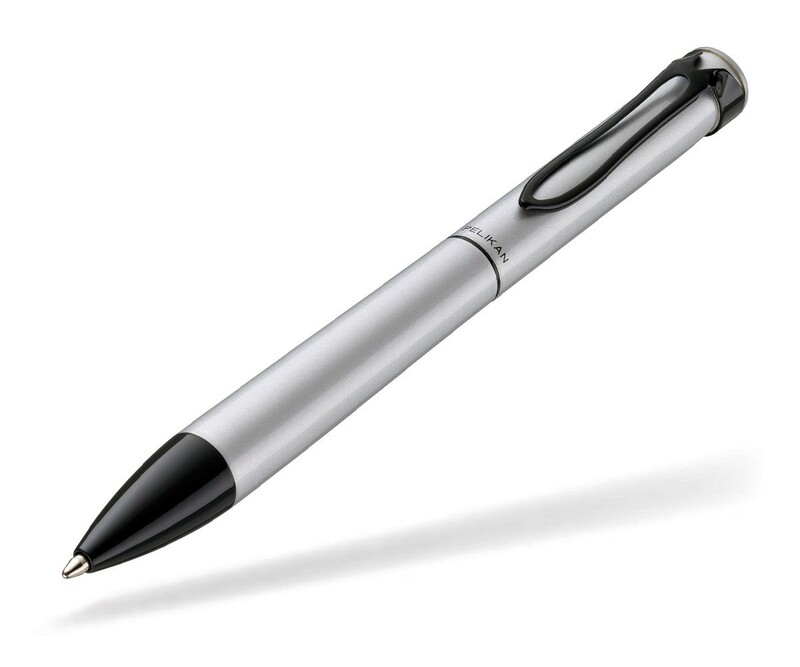 So I’ll look into this one and probably pick it up as a good utility pen. Sounds like the Stola will fit that niche well. Pelikanos are great work horse pens and I hope that the Stola will be the same. i wouldn’t mind having one of these as potential traveling fountain pen. The cartridge filling system would lend itself well to travel. The pen has a nice feel to it.